What you see here is the brand new Devon GTX, the first vehicle from California-based industrial design house Devon Motorworks. The Viper-based supercar was introduced during this year's Pebble Beach Concours d’Elegance. The first ideas for this supercar were rendered in 2007 by Swedish designer Daniel Paulin. Such a great name for a designer: Paulin... but as far as we know, he's not related to the legendary Georges Paulin of Pourtout fame. Daniel Paulin founded his own design agency, Paulin Motor Company, in 2005, after his career at the Ford Motor Company, where he was responsible for the exterior design for the Ford Focus concept car, the Ford Focus C-Max and the FAB1 - Lady Penelope's pink six-wheeler, used in the Thunderbirds movie. See below how Daniel's initial design, the Paulin VR Concept, looked like. When Paulin's design was released on the internet, it drew attention from whealthy businessman Scott Devon, CEO of Cole’s Foods, a Michigan-based frozen-baked-goods company with $100 million in annual sales. A new team was put together and the Devon Motorworks was born. They decided to develop Paulin's design concept onto the underpinnings of the Dodge Viper to come up with an American answer to the exclusive sports cars from Europe. 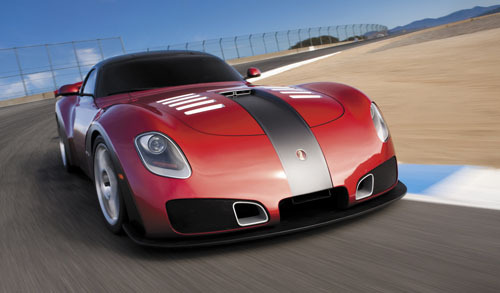 The Paulin VR Concept became the Devon GTX project. Their website doesn't mention anything about using the Viper as a base, but it is no secret Devon’s interest in buying Viper goes back to September, after Viper went on the market. According to an article by Autoweek.com, Devon was surprised to learn that no one was interested in buying Chrysler’s Dodge Viper business, so he made three different offers to buy Viper, including $20 million in cash. He also presented a plan to renovate the Viper plant and build a museum. 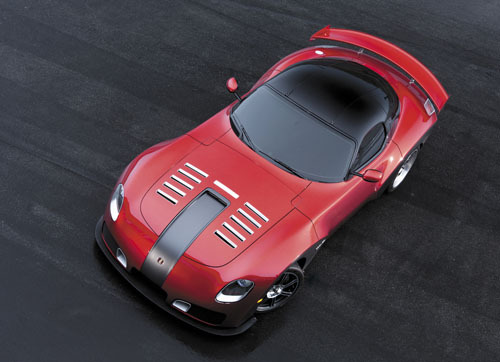 According to Devon, Chrysler CEO Bob Nardelli personally rejected it, demanding at least $30 million in cash for Viper. Devon said a subsequent offer of $30 million that relied on government financing was rejected. “They didn’t respect us,” said Devon. A source familiar with the Viper situation said Devon failed to prove his ability to raise the money needed to buy the brand. 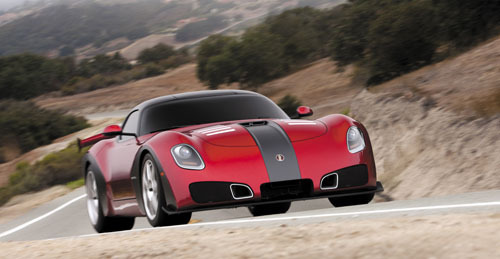 Viper is now part of the pending deal with Fiat. Devon’s initial business model was to build a handful of GTXs, possibly including a race-bred version to be driven by Justin Bell, who is helping develop the car. 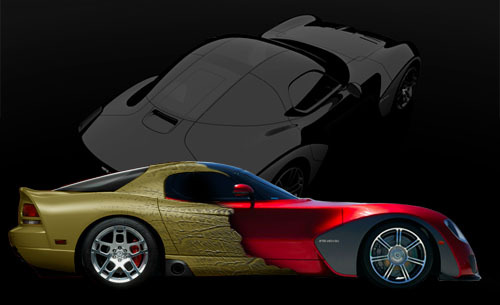 “Our goal from the beginning was to be a specialty niche manufacturer,” said Devon, who envisions Devon Motorworks as sort of an “American Pininfarina.” Devon says he has commitments for 10 cars and hopes to build six by October and three per month after that, regardless of how the Viper deal shakes out. “We thought we were going to buy Viper, and now we’re back to our original business model,” he said. fiber. The superstructure is extremely lightweight, strong and stiff, ensuring outstanding crash performance, noise / vibration tuning, and incredibly accurate chassis tuning." In the picture below you see how the Devon is designed over the Viper's hard points. Devon about the exterior: "While overall shape of the new Devon GTX carries traditional "muscle car" dimensions with a long dash-to-axle and short front and rear offsets, it's executed in the context of sophistication and athletic grace. Seemingly honed from a single billet, the GTX's flowing exterior skin is formed of carbon fiber, which enables precise molding – rather than traditional stamping – of exterior fenders, panels, and closures. A wheelbase of 98.8-inches – combined with a flush wheel-to-body relationship defined by distinctive, offset-flush, tone-shaded wheel surrounds – ensures well-grounded appeal and presence as well as an agile look with more muscular front fenders and rear haunches. Devon about the interior: "Inside, carbon fiber-reinforced racing seats, dual-grained leather surfacing throughout, and tasteful chrome appointments communicate a Miesian, “less is more” design philosophy. 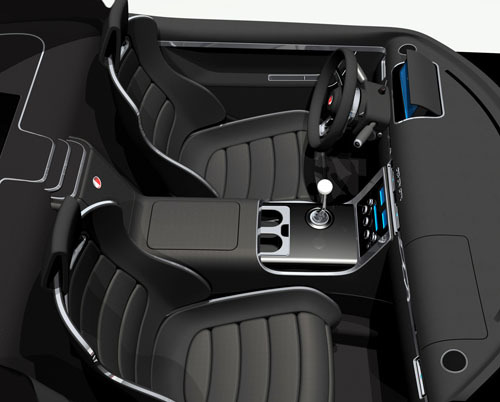 A neo-retro gear lever – topped by a white gear knob – melds driver with machine." When the GTX goes on sale early next year, the coupe will be available in two versions: a standard road version and a track-focused variant. Devon plans to produce 36 cars each year, carrying a price tag of $500,000, with a racing package commanding another $25,000. During a test session at Laguna Seca, prior to the launch at Pebble Beach, the GTX set a new production car lap record time of 1:35.075. Justin Bell, the leader of the Devon Racing team, was the driver who set the lap record at the Monterey track. See more images of the Devon GTX in our Gallery.